Upon being notified that she was the winner, Condon immediately asked if she could give the year of free gas to a family with a baby currently in the MUSC’s Neo-Natal Intensive Care Unit. “When you see parents everyday who need the specialized care that our services in OB can offer and then the specialized services of MUSC’s Neonatologist, NICU & PICU nurses, it is hard not to participate in the March of Dimes and it is much more meaningful,” Condon shared. In an effort to make Condon’s charitable wish come true, March of Dimes and Spinx worked with MUSC’s NICU to draw the name at random of a family with a child currently in their care. On Thursday, Condon joined the selected NICU mom, Leann Maree, and members of the Spinx Executive Leadership Team at the Montague Avenue Spinx store to accept the grand prize. Once Condon accepted, she turned and passed the gas cards along to Maree. 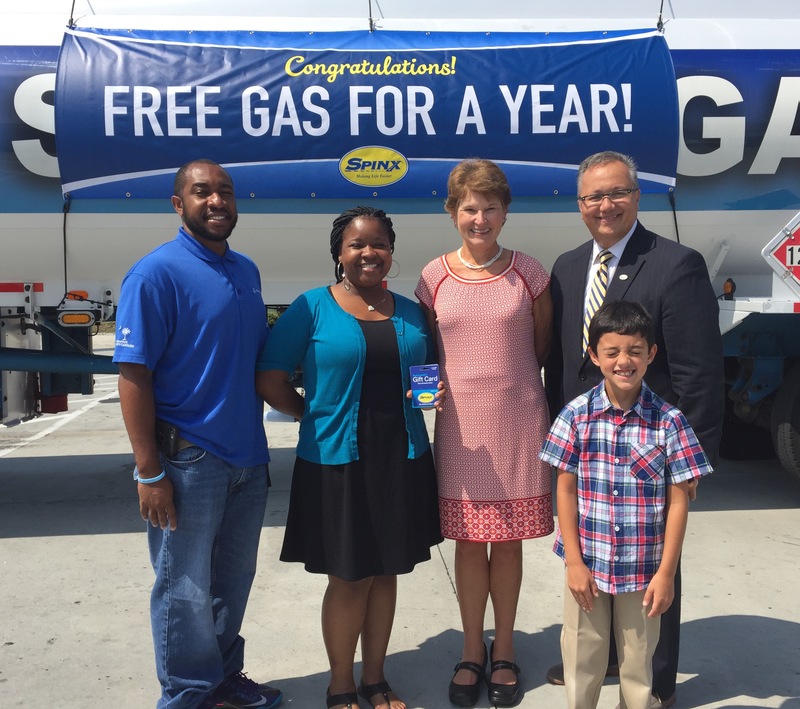 2015 marks the 5th year in which Spinx has given away a year of free gas to a lucky March of Dimes supporter. For every $100 raised in conjunction with the March for Babies walk, that individual’s name is entered to win the grand prize.